Note – this is an invitation only offer for some. If you see the Invitation Only notice, look over to the left for a yellow button that says request invitation (where you would normally add to cart)). 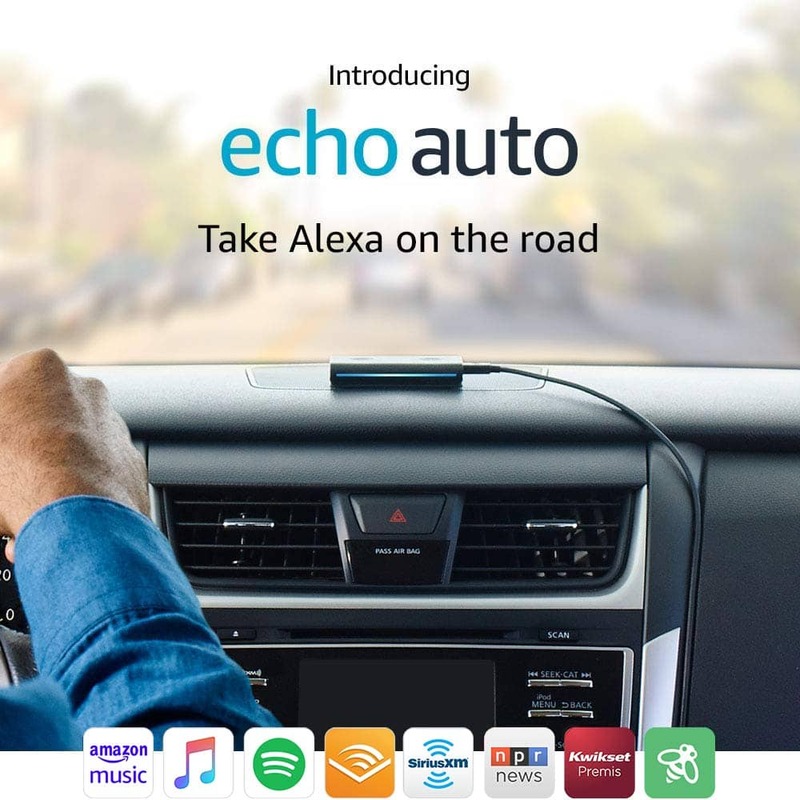 If you are a fan of the Amazon Echo, they have come out with a version you can use in your car – the Amazon Echo Auto. It connects to your phone to help you do many things hands free while driving, like play music, find gas stations, make phone calls, ask for directions and more. It is mounted on your dash, and is suppose to be able to hear you over your music and all. It could be a very nice way to add some of those modern functions to your car! Plus, there is currently a big sale on this product going on. It is regularly $49.99, but there was a big price drop this morning. Check the box above for the current price to make sure it is still on sale (that should tell you the current price it is selling for)! You can also find it here on Amazon. Make sure you read the technical aspects of it, as it is only compatible with certain smart phones right now. Play Audible books, stream podcasts, or listen to Amazon Music, Apple Music (coming in 2019), Spotify, Pandora, SiriusXM, or NPR.